Industry is one of the highly profitable industries initiative in today’s time. GIS can provides Insurance companies every location-based insight they need and It can also be used as Risk Manager as It uses smart maps, data analysis and all of the features for controlling risks and managing business strategies of Insurance companies. 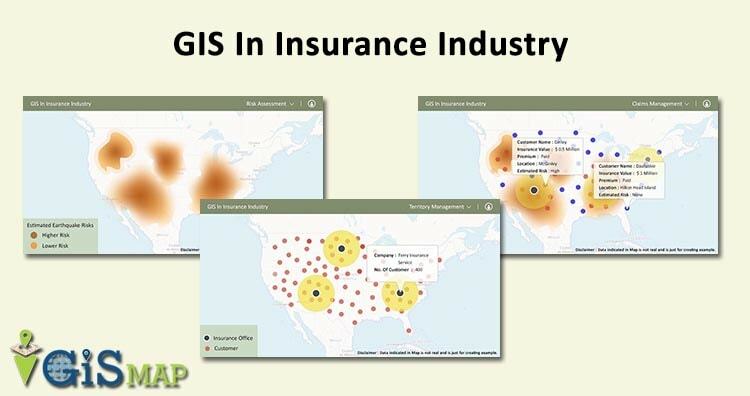 Insurance companies also uses tools like Insurance Management GIS Web/App Development – Cost, Time – Map Tool. Visit the link for more information about the tool. lets get back to ask what is the major pillar of the Insurance company business and i think the answer is Location Information. information helps insurers to fulfill the requirements of their customers. GIS in Insurance Industry has the range of functions which allows the use of policyholders data and spatial analysis to effectively serve customers and monitor fraudulent activities by embracing location-based intelligence. Over the years, Insurance companies are getting really good at calculating risk because they hold a lot of risk. GIS helps Insurance companies offer such low premiums for the high value insurances because with the help of GIS one Insurance company can divide a state into thousands of territory, which also divides the premium amount one has to pay. GIS provides Geo-fencing, which is a virtual barrier in the real world. Geo-fencing is used in ca-rental or car-share to understand the limits of speed or drinking . Insurance Risk Assessment : GIS understands the disaster proximity to improve the Insurance risk assessment. 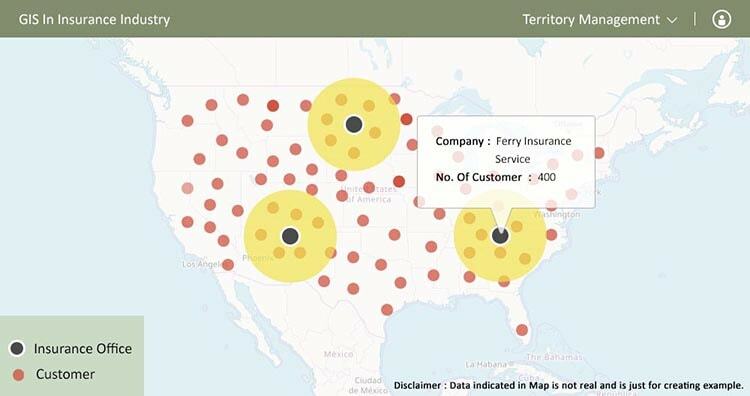 GIS helps location analytics provides an easy way for insurance companies to discover unknown problems, model situations, and implement the best solutions to minimize risk. Insurance risk assessment uses GIS to predict the risk. the level of risk decides the premium value. Higher risk extends higher premiums and lower premiums are for areas with less risk. 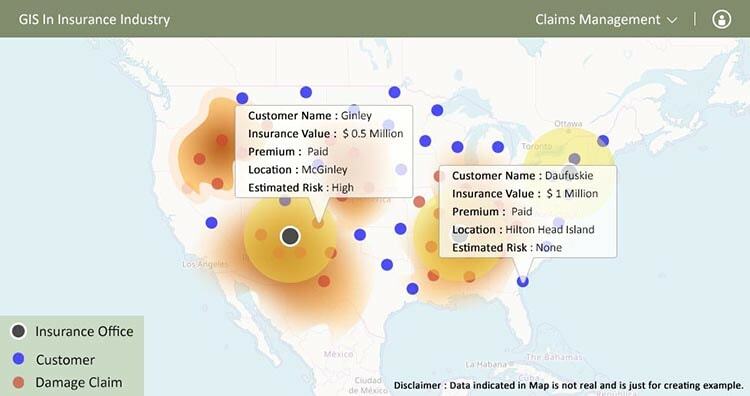 Claims Management : Insurance companies get the understanding about the Risk location and customers location from GIS. which helps in processing claims with respect to compensation, restoration, and repayment in response to the damage of the customers. This is the proactive approach to responding to customers with their claims rapidly and in an organized-way. Territory Management: GIS helps Insurance companies in their territory management and the analysis shows how geography interacts with hazards and assets to help companies limit risk. GIS helps in implanting and deploying the networks necessary to operate efficiently in your territory. Comparing Business Measures : You can easily map business measures and compare them with the help of GIS In Insurance Industry. It can validate various locations and visualize loss patterns on an interactive and beautiful maps. The insurance industry expects to see more growth in Geo-spatial information in insurance as major players are getting involved in the technology. And this is why they have major needs of Insurance management tools. Do let us know how this Article is helpful for you, by commenting below in the comment box.